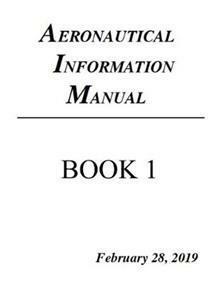 This PRINT REPLICA contains the FAA Aeronautical Information Manual (AIM) Basic with Changes 1,2 and 3, dated 28 February 2014 This is a very useful reference book that is normally printed in a small format (6 by 9 inch) and can bedifficult to read. We decided to print this a ful... read full description below. This PRINT REPLICA contains the FAA Aeronautical Information Manual (AIM) Basic with Changes 1,2 and 3, dated 28 February 2014 This is a very useful reference book that is normally printed in a small format (6 by 9 inch) and can bedifficult to read. We decided to print this a full 8 1/2 by 11 inches so the text is much larger. It is a printreplica so the content is unchanged, only larger. However, there were two big changes in format which willhopefully make the book more useful. First of all, we broke it into two books. Book 1 contains Chapters 1thru 5, and Book 2 contains Chapters 6 thru 10. Some people won't need both books. The other change iswhere the explanation of changes is located. Normally, the Explanation of Changes is located at the verybeginning, but we doubt it gets much use, so we relocated that to the very back of Volume 2. We hope youfind this more useful than a small, thick book with small text. If so, please leave a positive review onAmazon.com. If you have any suggestions or would like to see this or any other book printed differently, please send us a message on our website USGOVPUB.com.